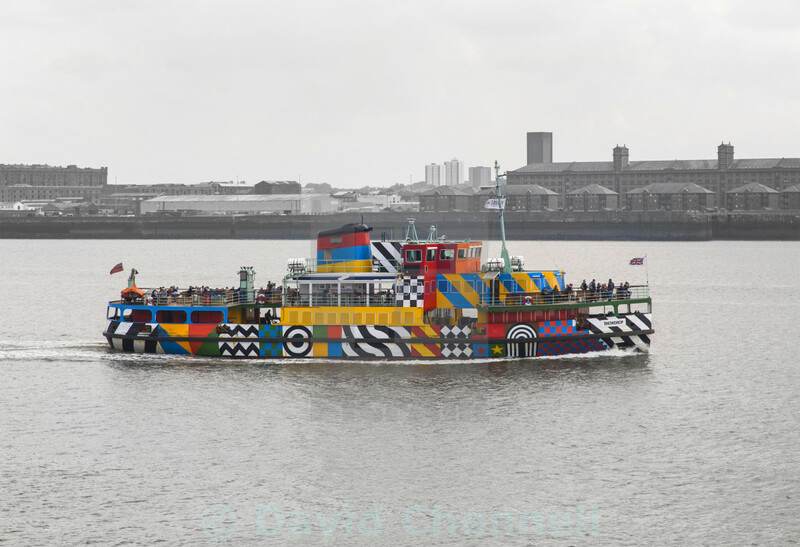 Mersey Ferry Snowdrop has a new coat of paint for the Liverpool Biennial. A Tate Liverpool commission designed by one of the major figures of British pop art, Sir Peter Blake, to dazzle a Mersey Ferry for Merseytravel and National Museums Liverpool. Unlike other forms of camouflage, dazzle camouflage works not by concealing but by baffling the eye, making it difficult to estimate a target’s range, speed and direction used mainly in WW1.